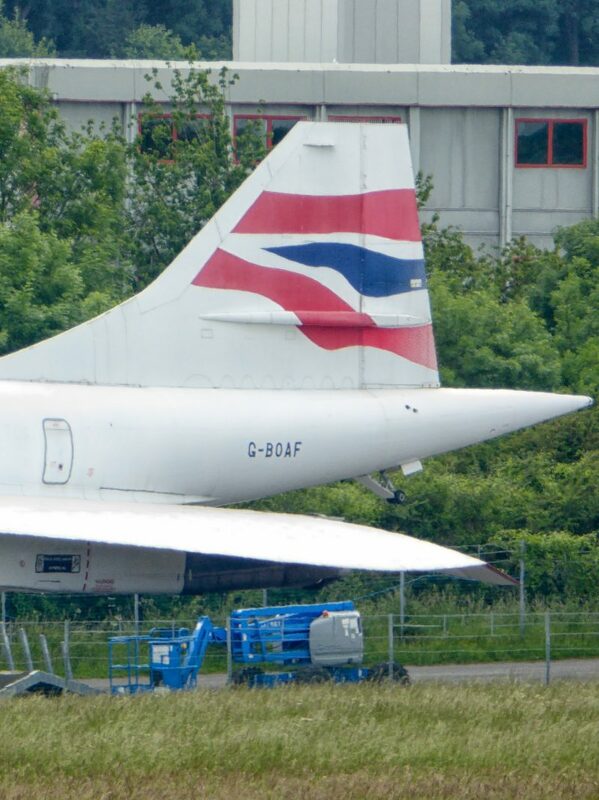 The Filton airfield is like Concorde itself no longer operational except for some emergency helicopter traffic and as a result of this Alpha Foxtrot is currently one of the least accessible airframes. For a few years following its arrival in 2003 there was a pre-booked tour of aircraft necessary because the aircraft is parked with the Airbus Factory site at Filton, however this was stopped in 2010 and the opportunity to get close to this particular aircraft awaits the completion of the new Aerospace Bristol Museum next year. 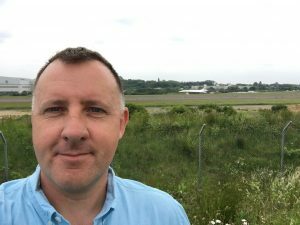 As a result about the only view of Alpha Fox now possible if from the opposite of the airfield near the Nissan Garage on Hayes Way. 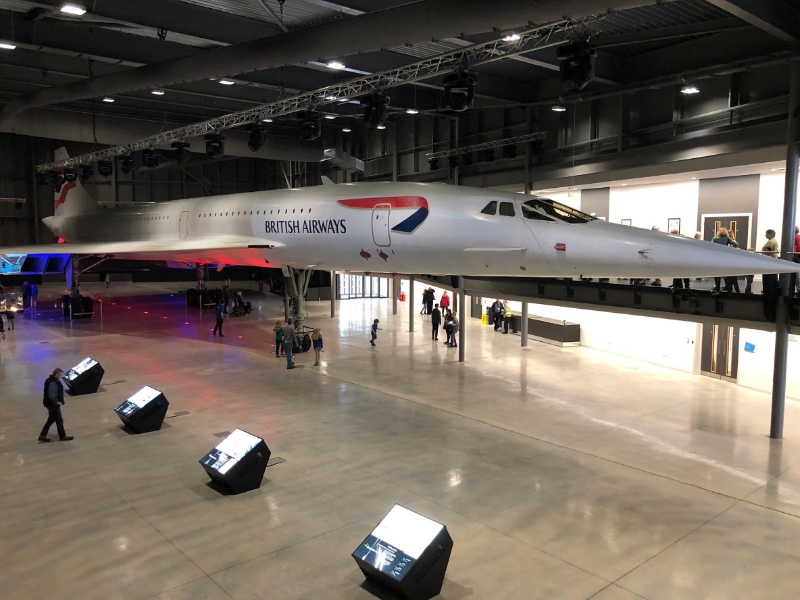 So one of the more disappointing of my Concorde visits, but I’m pleased with my progress so far.. five visited with thirteen to do and 332 day left to visit them ! Great news, Alpha Foxtrot is under cover in it’s new hangar and Aerospace Bristol is on schedule to open in the summer ! Aerospace Bristol opened last week and Alpha Foxtrot looks wonderful in her new home. Thanks for this info. I am travelling from Newquay to Bristol next weekend and staying at Premier Inn, Cribbs causeway. I have been desperately looking for info on the best place to see G-BOAF. Is that as close as you can get to it? I am so glad it will have a new home next year. Yes that was the case earlier this year anyway – It would be great if you can provide an update here for others visiting before the centre opens next year. I stood where you were today (26/11/16) and would agree that overall this is the best spot to view that I can see. You can walk up the small grass verge which gives you a clear view over the fence. I parked in the recess on the roundabout. Be careful crossing as the roundabout as it can be very busy. The plane was closer than I thought and it was such a pleasure and also sad at the same time to see this amazing aircraft again. You could get much closer from the opposite side (West Way) but it looks like you need authorisation as there are security gates leading through to an industrial complex.